PRIME MICROWAVE Products are made from New Generation of Polypropylene - Free from any hazardous chemical components like BPA (Bisphenol - A), Phthalates, etc. 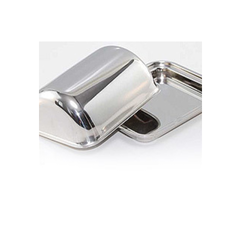 Backed ourselves with sound amenities and brilliant personnel, we have emerged as one of the leading organizations of Butter Dish with Cover. 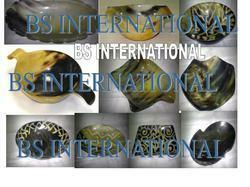 We offer high quality of butter dish. - Finish: Round Porcelain Dish with a Bell-shaped Copper Dome That Fits over It.Has a Brass Knob Handle on Top. With the never ending support of sedulous craftsmen, we have been able to craft unmatched Copper Butter Dish.